When it comes to your skincare routine, sleep is a crucial component for the skin’s recovery from assaults of the day. Drift into dreamland with the Sound Sleep Cocoon, a gel-cream treatment infused with essential oils such as French lavender, patchouli, and sandalwood to ease you into restful slumber. Persian silk tree, wu-zhu-yu, and tamarind seed extract, on the other hand, will keep skin hydrated and radiant through the night, until morning. Gently cup your face with your hands and breathe in deeply for three seconds after application, repeat three times right before going to bed, and indulge in a deep sleep. 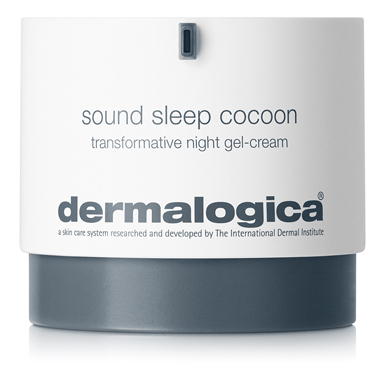 Turn on some binaural beats curated by Dermalogica at www.soundsleepcocoon.com to achieve a deeper state of relaxation while allowing your skin to soak up the goodness of this paraben-free, relief inducing gel. Transform the texture if your skin in just one sleep. As Dr Teh Jia Li, one of Harper’s BAZAAR’s Beauty Awards 2018 judges, attests, “I love the gel-cream texture that literally melts on the skin upon application. It absorbs quickly, too, giving instant hydration and skin brightening effects.” Consider this a crucial addition to your beauty routine. The pieces are inspired by what the singer wore at Coachella.